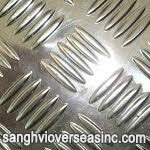 What is Aluminium 6061 Checker Plate? 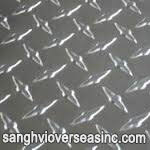 6061 T6 Aluminum Tread Plate is commonly known as “Aluminum 6061 Diamond Plate or Aluminum 6061 T6 Diamond Tread Plate”. 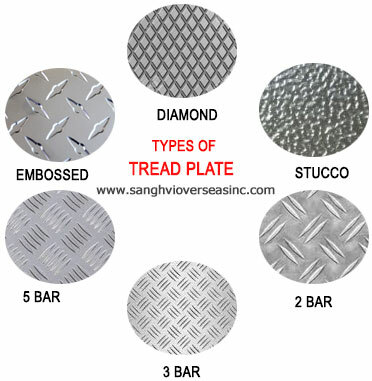 Aluminum 6061 Tread Plate is non-slip element allows it to be widely used as vehicle flooring and industry flooring due to its practical and decorative function. 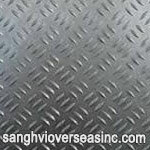 6061-T6 Aluminum Tread Plates are strong, lightweight and is used to provide protection and traction on high traffic areas. 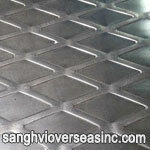 Aluminum 6061 checker plate is widely used in decorative, shipbuilding and architectural applications. 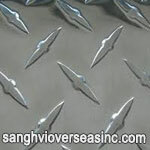 Having good forming, drilling and welding ability, Aluminum 6061 Diamond Plate is easy to fabricate and its raised diamond lug pattern provides good slip resistance. 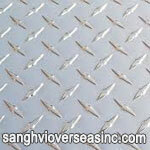 Aluminum 6061 tread plate is practical, decorative, durable and economical. 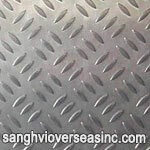 Used as decking, stair-tread, walkways and flooring. 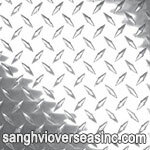 Largest selection of Aluminum 6061 diamond plate sizes at wholesale prices. 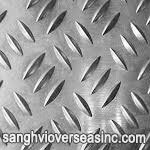 Sanghvi Overseas Incorporation is the leading manufacturer and exporter of Aluminium 6061 Tread Plate. 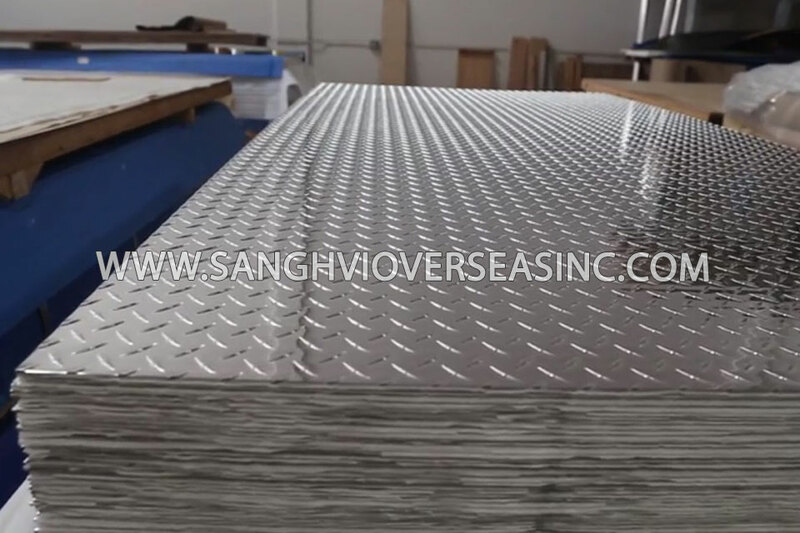 Supplier of ASTM B632 6061 Aluminium Checker Plate in Tempers manufactured in accordance with international standards ASTM B632, ASME SB 632, EN573, and EN485, check Aluminium 6061 Diamond Plate price. 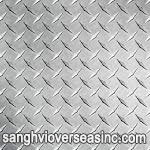 Wholesale Trader of Commercial Aluminium 6061 Floor Plate offered by Sanghvi Overseas, Mumbai, India. 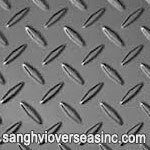 Stockist of 6061 Aluminium Tread Plate, Mill Finish 6061 Aluminium Checker Plate, Jindal / Hindalco 6061 Aluminium Diamond Plate in India. 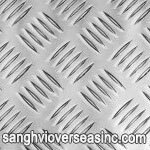 6061 Aluminium Checker plate is also named as 6061 Aluminium chequer plate, 6061 Aluminium tread plate and 6061 Aluminium floor plate. 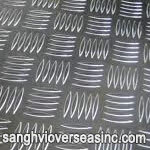 It is a plate with a regular kind of raised texture on one side and the other side is flat. 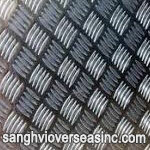 The texture can be diamond, lentils, willow leaves and other customized shapes. 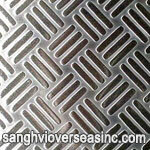 6061 Aluminium Checker plate is produced from aluminum plate materials. 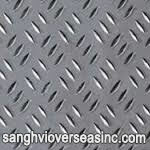 6061 Aluminium checker plate is skid-proof because of the raised texture. 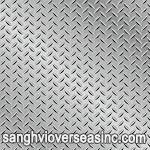 The 6061 Aluminium Tread Plate has a good wear ability and slip resistance. 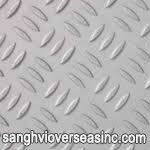 It is ideal for metallic constructions, automotive defenses and industrial uses. 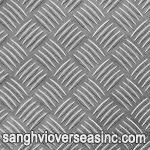 We Export 6061 Aluminium Tread Plate to Singapore, Indonesia, Ukraine, Korea, Thailand, Vietnam, Saudi Arabia, Brazil, Spain, Canada, USA, Egypt, Iran, India, Kuwait, Dubai, Oman, Kuwait, Peru, Mexico, Iraq, Russia, Malaysia, etc. 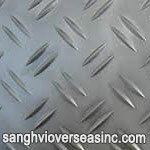 This specification covers 6061 aluminum-alloy rolled flat tread plate, mill-finish, with a raised pattern on one side. Alloy and temper designation are in accordance with ANSI H35.1 [H35.1M]. 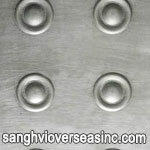 The equivalent Unified Numbering System alloy designation are those of preceded by A9, which is A96061 for alloy 6061 and A93003 for Alloy 3003 in accordance with Practice E527.